Rising gas prices are becoming a bigger burden on household budgets. There are a lot strategies to save money on gasoline. This is a guide about saving money on gas. Don't speed: Each 5 miles over 60 mph is like paying a additional 24 cents per gallon. 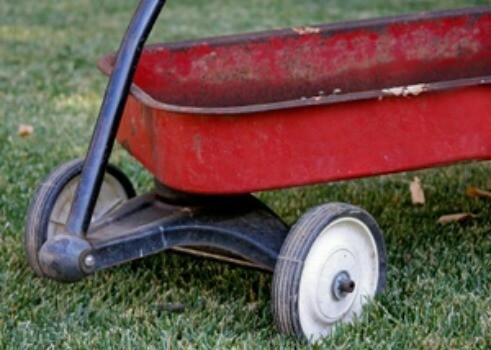 Dump the trunk junk: Especially heavy items you are not using. A extra 100 pounds could reduce your mpg by up to 2 percent. Also, streamline the top of car by removing car top carriers, bike racks. that will help you save. Use your cruise control: This helps maintain optimum fuel efficiency with a constant speed. Skip the drive thru: Just park and walk-in. Walk-in saves gas and gives you some exercise. These are just a few things that everyone can try, and every little bit helps. Institute a no-drive each week to save on gas and get exercise. We are fortunate to be in walking distance (1-1.5 miles) to just about everything we need. Of course, this won't work for everyone. But for some, you can plan to drive even fewer days a week. I pull my kids in the wagon to run errands. We go to the grocery store with our reusable bag(s), and only buy what we can fit in them. This prevents me from buying items not on my list or heavier, unnecessary items like pop and other sugary drinks. We get home, and we've all had fresh air, I've had a work-out pulling 80+ lbs in the wagon, my errands are done, and I haven't made excessive purchases. Reset the tripometer when you get in the car or make a note of it. After a week's worth see how your doing. I'm trying to get my son to do this so he can see for himself how much he spends. Every receipt he gets he puts in a little pouch he has. I'm trying to get him to notice how much different it is to not get sodas at a drive thru. To have them at home is a whole lot cheaper! Drive evenly with a steady foot. Avoid jiggling the accelerator. Cruise control helps maintain a constant speed. Following these instructions will help you increase your gas mileage. Try to eliminate unnecessary trips. Keep a list of your town errands. Try to coordinate trips with your significant other or neighbor. Ask yourself, when does this need to be done? Can it wait? Find out where the other person's errands are and if you might tag along and do a couple of your own. Even if you have to wait for someone to come back and pick you up, you can catch up on reading, etc. Avoid racing up to stop signs or stop lights. You are going to have to stop when you get there so just slow down a ways back from the stop signal. Then when you leave a stopped position, don't slam your foot down on the gas pedal. Drive a few miles per hour under the limit. My dad always said that. So WHAT if people pass you or honk or give you a rude hand sign. Enjoy your ride! Take in the scenery when you can. Keep a blanket or 2 in the car so if you have to wait for someone to go into the store or library or wait for kids after school - you don't have to run the engine the entire time. We try to conserve gasoline in our vehicles by combining as many trips as possible so we are not going in and out so much. The more trips you have to make, the more gas you use so it is wisest to make a list of all the places you have to go and figure out the best route to use and only go out one time for everything you need to do. Try to have 1 day a week that is a 'no drive' day. No errands, etc. are allowed. If you need something, make do. Only have one vehicle. You'll have just one car payment, one inspection, one repair, and a pay lot less for auto insurance. With all that savings you might be able to afford a better home, closer to work or mass transportation. In emergencies you have neighbors you should know. Maybe start up a neighborhood transportation service in which each neighbor takes a day a month to haul the other neighbors to appointments and such. Sounds crazy doesn't it? Well that was my old neighborhood in the 1950's/early 60's where there was but one car in each driveway and, even in a small town, bus service was only 2 blocks away. Of course, in those good old days when we had corner stores and pharmacies, even in small towns, doctors came to your house and bread and milk was delivered. Who says we are better off today then in the days of old? Ride your bike to work. It takes guts and determination but once you're into it, the benefits will reward you with more than gas savings. I saw on the news that if you want to save a few cents per gallon of gasoline, buy your gas before 10:00 a.m., as that's the average time the gas prices go up. They also said,if at all possible, do not buy your gas on Mondays or Thursdays. The reasoning was that because most people start their family vacations on Monday or Thursday. I've heard from local mechanics that riding with your windows down uses almost gas as much gas as running the Air Conditioning because the wind coming into the car causes it to go slower. Also, change your oil as scheduled, every 3,000 miles. I never go past 5,000 miles between oil changes. Also make sure you get your tune-ups every 50,000 miles for the late model cars. If you have kids: When they want to go to a friend's house or have a friend over, make a deal with the other parents that you'll drive one way and they'll drive the other. For example: You drive your child to a friends house and their friends parents will drive your child home. That way you split driving time in half. We always try to go to the "no name" gas stations in our town. They're able to buy gas from whoever's cheapest and don't have to follow pricing guidelines like chain stations. They're usually 5 cents (at least) cheaper than everywhere else for the same gas! That being said, Speedway stations have a rewards program where you earn points based on what you spend. There's a station on my husbands way home and one close to our house so we usually stop there for anything that we need and I gave my sister one of the key-ring cards to use too. When prices were super high here, we redeemed our points and got 25 cents off per gallon of gas up to 25 gallons. I filled my husband's truck and half filled mine for a lot less! One tip I have is when I run my errands, I start out at my furtherest point away from home and work my way back towards home. No use in running around in circles, right? 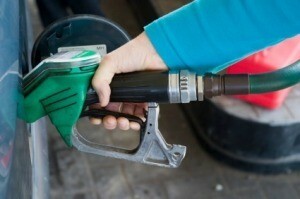 You can also check local gas prices in your area by going to http://www.gasbuddy.com. All you have to do is put in your zip code and it will look for places around your area. If you only fill your tank half full to lighten your load, you really aren't saving much. It means you have to buy gas more often which means starting your engine more often, hence, burning gas. Cutting back on errands, carpooling, buying a more efficient vehicle, riding a bicycle or motorcycle, keeping your vehicle tuned up, all this will help. I ride my motorcycle instead of driving my Bronco. Contrary to popular belief, if you own a pick-up truck, do not leave the tailgate down while driving. It might seem like you're cutting down on wind resistance and therefore increasing gas mileage, but the well known "Click and Clack" along with other scientific studies have proven opposite. Leaving the tailgate down actually increases drag. With the tailgate up, the bed of the truck fills with air that becomes more or less stationary, and actually makes the truck more aerodynamic. I bought into the "tailgate down is better" myth for years thinking I was being super frugal... only to be completely wrong in the end. I just got an email from a mathematician saying that if we buy from local gas stations ONLY and leave out EXXON and MOBIL they eventually will have to lower the price since we will be dictating the demand and not them. The thing is to pass the message across so we are all united on this. Could it work? If you're a member of Costco or Sam's Club, their stations are usually 5 to 10 cents cheaper than other stations. I wish I lived in Oklahoma! The kids there are riding their horses to school and "parking" them in the field. Now that's a cheap and fun way to get to where you're going! We are seniors that live in a small northern community in Michigan. Since we are on a budget we always make sure we do as many errands as we can at one time, we drive a Jetta Diesel that gets 50 miles to a gallon and we forego going out just for the heck of it. We have choices in life and we would rather put extra gas money in our pocket than the billionaires who are raking us over the coals. Oh yes it is fun to beat the system however small. Still loving life. I buy gas at Kroger's. I have the Kroger Plus card that saves money on groceries that are on sale, and also saves 3 cents a gallon off all the gas I buy from them. And when I have bought $100.00 worth of groceries in a month, I get 10 cents a gallon off on a fill-up. If my tank is almost on empty, I save a little over $2.00 on the fill-up. One thing I do is to by gas with ethanol, at least some of the money stays in the States going to farmers, instead of overseas. This helps our economy. Edmonds.com tested a handful of popular gas saving tips to see how effective they were, the results were interesting. According to their test the following tips were most effective. Not only is it safer to be a defensive driver, it also saves you money on gas. Edmond's reports up to a 37% savings for moderate driving versus driving aggressively. You can save up to 14% on gas by driving the speed limit, according to Edmond's tests. This one surprised me, cruise control can save you up to 14% on gas. Edmond's recommends turning off your car if you are stopping for more than a minute. This can save you as much as 19%. Air Conditioner vs. Open Windows: A common tip is to keep your windows open instead of using your air conditioner. Due to the drag from driving with your windows open there is no measurable difference. Tire Pressure: Another tip that is frequently bandied about is that you should make sure your tire pressure is even. Great for safety and saving wear on your tires, but it doesn't effect gas mileage. Generally though, keeping your car maintained can have an impact on gas mileage. Start carpooling or using a ride share program. Buy cheaper gas. Check your car's manual, you probably can use it. Feel free to post your own in the feedback forum below. With gas being as high as it is it is very important to most of us to learn to handle as many chores as possible with fewer trips into town. Health and Human Resourses will reimburse you for the cost of the gasoline you had to purchase in order to go to and from doctor or dental visits. They will furnish you a form that you fill out and the doctor or staff member signs it. 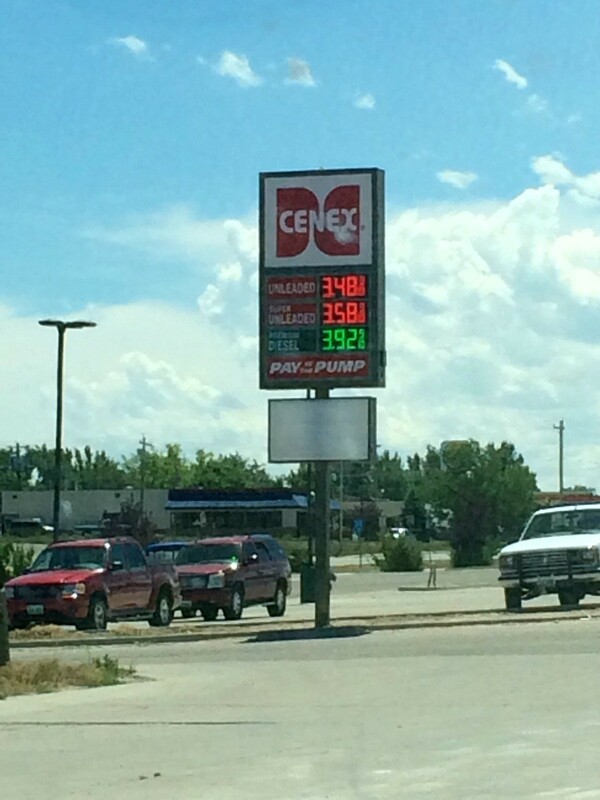 On our most recent road trip we were thankful to find that gas was much cheaper than at home. However, I still wanted to get the best deal I could find. In many towns, driving just a block or two into town saved as as much as $0.40/gal! You get gas rewards, called Fuel Perks, for Shell when shopping at Winn Dixie. When you redeem them, you have to use the discount on all 20 gallons or lose discount on gallons not bought. My car fills on 16 gallons so I bring a gas can for the remaining 4 gallons. We own two Dodge Grand Caravans, and while they are not the most expensive vehicle to fill, they are far from the cheapest. Here are a few of the things we do to try to keep our gas costs down. As a mom, saving gas is very important. 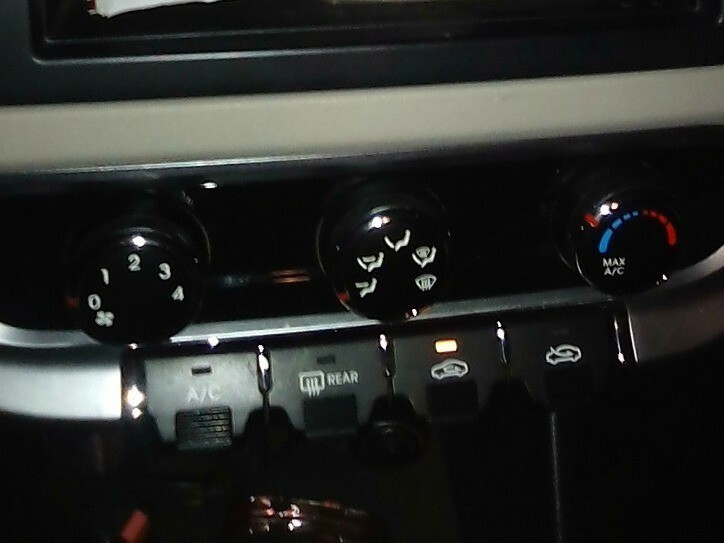 Here is one tip I can share when using your car's air conditioner. I'll make sure if the weather is good and if it is windy, I don't use the air conditioner. I will just open the window. Don't trust the price on the sign at your local gas station. 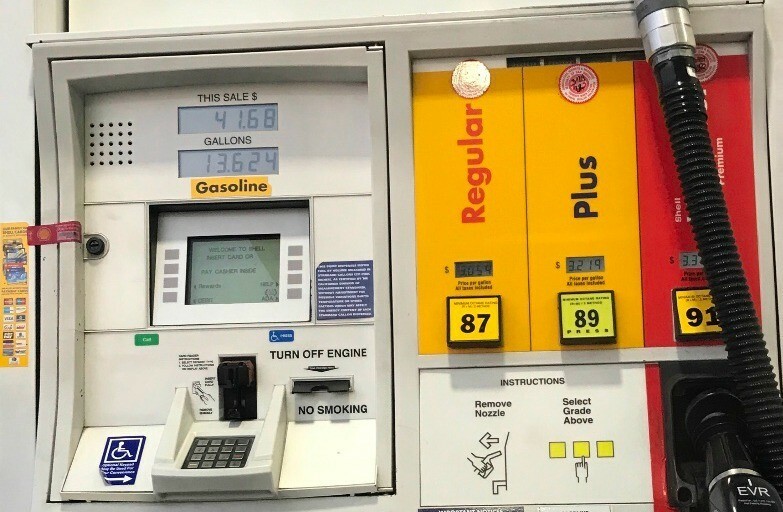 Always double-check that the price matches that on the pump you're about to use. My commute to work is approximately 19 miles. Where I live, gas prices are between $3.19 - $3.39 per gallon. I've found that driving between 5-10 miles under the speed limit has helped stretch my gas a little bit. Even more when I drive at 45 mph. Keeping the engine serviced on time will save you gas. Don't forget the transmission service every 20,000 miles, the rear axle every 20,000 miles, and rotate the tires every 6,000 to 8,000 miles for long life. Gas prices are rising rapidly (as always), so here's a tip for getting better gas mileage: Obey speed limits! Studies show that, for every 5 miles per hour you drive over 60 mph, it's like paying an extra 20 cents per gallon of gas! And, by actually going the speed limit, you'll be avoiding a pricey speeding ticket. 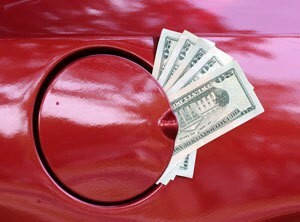 Here are some great tips on saving money on gasoline. I received this morning and thought I would pass these tips along. Gas is over $3.00 a gallon here. Some of these tips are new to me. 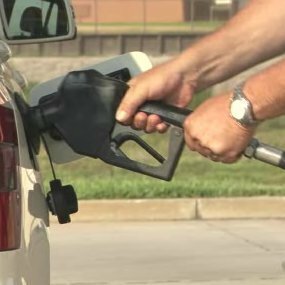 More gas is wasted by people not completely fastening their vehicle's gas cap after putting gasoline in. Screw it in until you hear a clicking sound, otherwise it'll either spill out or evaporate. With the price of gas these days, make the most of each tankful! For as long as I have been driving, I would always get a receipt just in case there is a bill discrepancy. Instead, now I snap a photo as my proof and it'll be on my phone just in case, plus the time and location on the photo. To cut down on driving, keep a list of all the errands you need to run. Don't make a trip until you can combine at least a couple errands. I live a distance from the town where I shop, have a part time job, work out, and do other errands. To save time and gas money, I accomplish everything with one trip. Sometimes this means I have to buy my groceries first to fit into my time allotment, so I always carry an ice chest or two in the back of my van or in the trunk of my car. 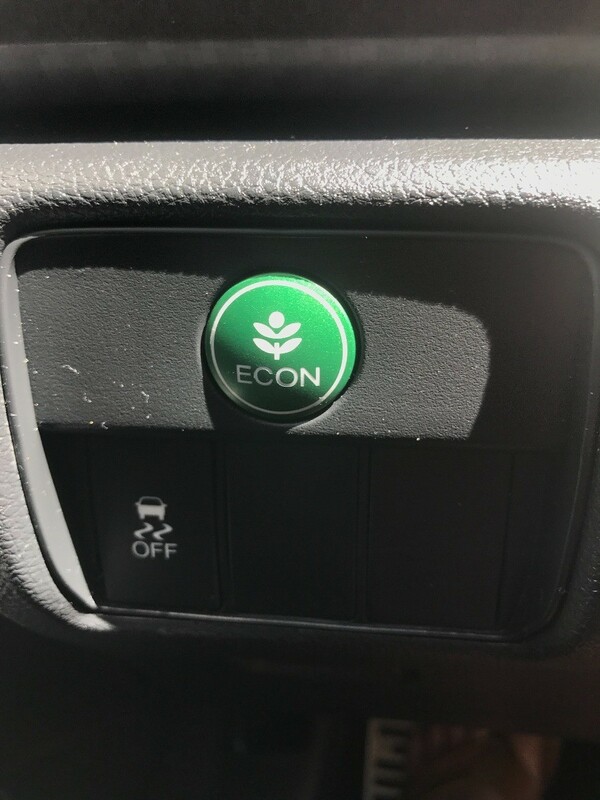 Most newer cars have an Econ mode to save gas. This is great for driving long distances on the highway. It is not ideal for going on hills, when your air conditioning is blasting or you have a full load of passengers in your car. I have noticed when I drive on Econ mode that my car gets better gas mileage. Eight years ago we retired to a tiny town with a small local grocery store. The prices were high and the produce was poor quality, so we developed the habit of checking the weekly ads and doing most of our shopping at the supermarket 20 miles away.